It was a long and winding road to the founding of America Online. In the mid-’80s, Kleiner Perkins had invested in Imagic, a video game business primed to go public until the market collapsed and the company failed. Some of Imagic’s investors, including Kleiner Perkins, went on to invest in Control Video Corp. That company also failed (a reminder that 70% of all startups flop) but out of the wreckage of CVC emerged Quantum Computer Services, a company that eventually rebranded as America Online and later AOL. CVC’s only product was an online service to play games, which were downloaded by phone via a modem that subscribers bought from the company. It was around that modem and Quantum’s dedicated online service that America Online would be formed several years later. In 1987, Tim Berners-Lee had just completed work on the World Wide Web, linking hypertext documents into an information system. But the internet was still in the very early stages of its meteoric growth. The ability to connect and communicate was limited largely to those in computer science labs. To expand use to the masses would require development of a way for PCs to communicate with one another. AOL did just that, creating a way for people to connect via the internet. We saw the potential to create a mass-market service, and invested in AOL in September 1987. AOL’s success was driven by a strong founding team. Frank Caufield, the partner at Kleiner Perkins who led the investment in CVC and later in AOL, was tasked with finding a CEO for the company. Jim Kimsey, a classmate of Caufield’s at West Point, joined CVC in 1983. In 1985, the company was renamed Quantum, and Kimsey changed focus to build an online service that became the foundation for AOL. The company was successful under Kimsey’s leadership and went public in 1992. 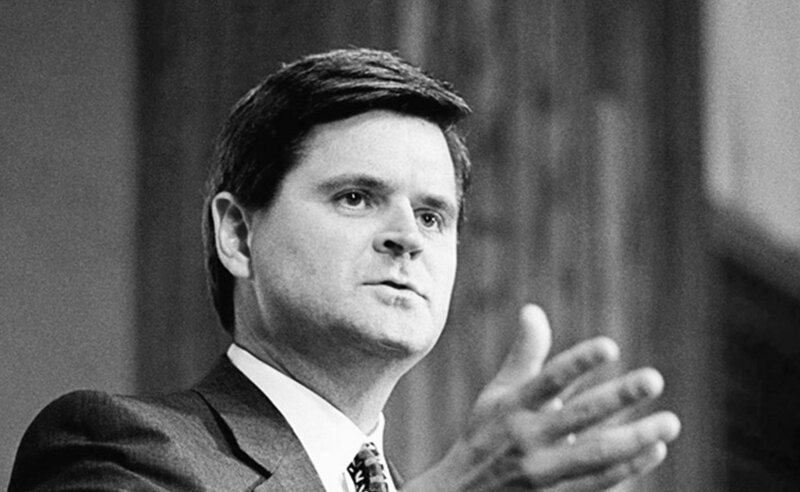 Kimsey groomed Steve Case to be his successor. In 1983, Case had been hired as a marketing consultant for CVC and agreed to stay with the operation as it became Quantum and then AOL. Case ran a brilliant marketing campaign, positioning AOL as the online service for the masses. The company distributed thousands of free-trial floppy disks, driving widespread adoption of the service, and introduced its own email addresses with the slogan that came to define AOL: “You’ve got mail.” Case became AOL’s CEO in 1991. He later adopted a new business model, with the company dropping its monthly subscription fee to shift to an advertising and free-service model. Ad revenues more than compensated for the loss of monthly fees, and growth exploded. In 2000, AOL agreed to merge with Time Warner, with AOL shareholders taking 55% of the combined company and Time Warner holders the other 45%. The business world was shocked to see an organization as new as AOL taking over one of America’s most iconic companies. The merged companies had more than their share of internal cultural clashes, compounded by a stock-market crash and the dot-com bust. Despite the friction inside the company, the 16-member board, with eight directors from each entity, operated with harmony and efficiency. In 2004, the board elected Frank Caufield as lead independent director, a position he retained until 2010.